Hey, that's a good on!! Love to watch what comes outa an egg! And the first thing said after hatching..."Momma? Is that you???" Jumping for joy the little bugger hops up and kisses the first face it see's. 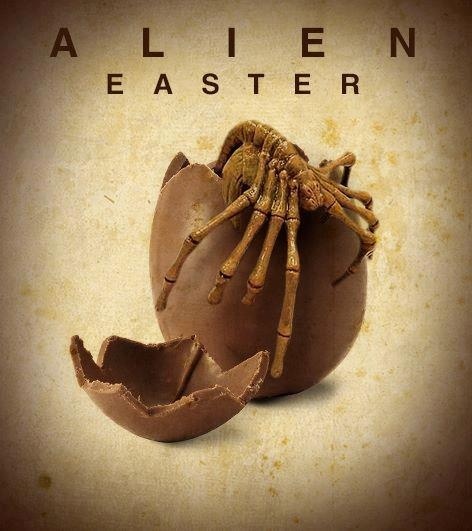 Soon the world is covered in eggs!